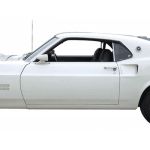 On July 24th and 25th , 2015 Dunn Deal Auctions is presenting a fabulous selection of classic and collector cars, as well as a large offering of antique advertising signs featuring Petroliana. 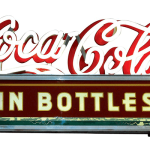 The first day on Friday the 24th features over 340 lots of various Petroliana items including porcelain signs, tin signs, dealership signs, as well as thermometers and clocks. Also, this session will include gas pumps, air meters, barber chairs, display racks, and even a coin-op kiddie ride. The 25th features all the beautiful collector cars up for auction to the highest bidder. There are street rods, vintage trucks and muscle cars, Cushman scooters, whizzer bikers, as well as vehicles from Buick, Cadillac, Chevrolet, Chrysler, Ford, Oldsmobile, and more. One of the feature items in the first day of shows up early at Lot 8. This lot is an Eco Islander Mobil Fas Pegasus Air and Water Meter. The piece measures 58” by 12” and is in good condition. This piece is expected to fetch several hundred dollars at auction and already has significant absentee bidding activity. 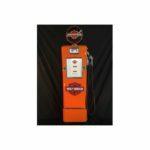 The very next lot in the sale, Lot 9, is a stunning Shell 10 Gallon Visible Gas Station Pump. This also is expected to grab several hundred dollars at auction and is another highly sought after piece. Both have a selection of photos ready to look at through the online catalog. The second day brings the classic cars, and Dunn Deal Auctions has a fabulous selection to deliver to the auction audience. The opening car, which is Lot 90, is an outstanding 1967 Chevrolet Corvette Stingray Roadster 427 L88. This car was a race car and currently has a 396/4-2 block with all the original L88 options back in the car. This has 22218 +/- miles and a 4sp transmission. 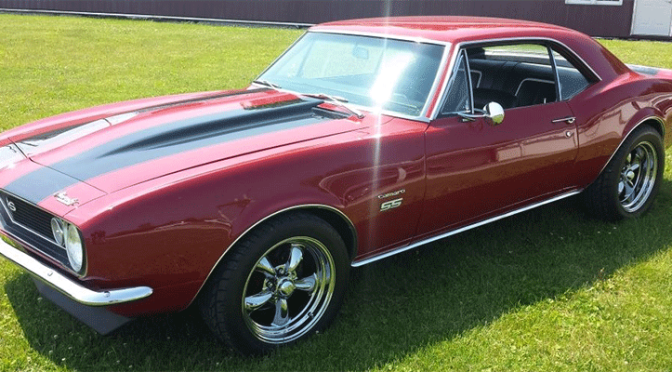 This car is in beautiful condition and bidding interest is significant. 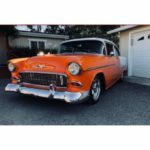 A full array of detailed photos and a comprehensive description of the car and its features is available in the online catalog. Absentee bidding is strong so bidders are encouraged to put in their maximum bids in the system ahead of the sale. Lot 200 has a very interesting vintage truck up for auction. Here is a 1926 Ford Model T Pickup Truck. This has a white oak bed and rear disk brakes. Another Ford Pickup Truck is available at Lot 301 and this one is from 1930. The 1930 model has a Buick nailhead V-8 Automatic Dynaflow Transmission installed. 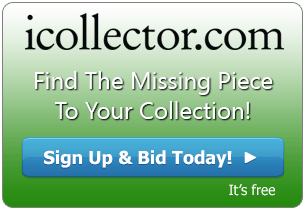 Both pickups have photos available online and absentee bids have been placed in advance of the auction. The car that won the Detroit Autorama show as best street rod in America in 2015 is available for sale at Lot 400. This is an outstanding 1940 Chevrolet Master 85 Business Coupe Street Rod. It is red in color and is stunning to view online or in person. This rod will present a great value for the collector and is sure to sell quickly.